Established in 1760, Hamleys is London's oldest toyshop, moving to its present location in Regent Street in 1881. The ultimate play experience, Hamleys has been delighting adults and children for years from their famous London store, one of the largest toyshops in the world. Even the nurseries and playrooms of the Queen and her children have been stocked from this legendary store. This huge shop has seven floors filled with more than 50,000 toys, including computer games, plush toys, latest gadgets, classic games and specialist collector areas. And with entertainment and theatre in abundance, every visit to Hamleys is a special treat for children of all ages. 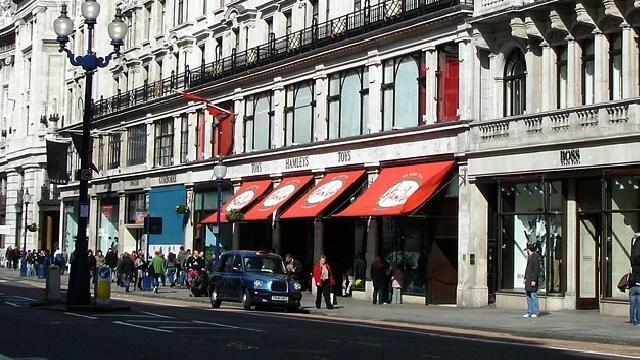 Is Hamleys of London your business?